Google’s Android has always been a little bit more about style rather than pure, raw performance. If you’re an Android fan, you probably like the various style features that Android has to offer. These include transition animations and so on. Well, as pretty as these animations look, the unfortunate fact is that they do end up taxing your processor. And if you’re a heavy smartphone user, then all this does contribute to lesser streamlined performance. So if you’re experiencing similar lag on your device and thinking of upgrading your smartphone, even though it would be better if you rather didn’t, then stop. There’s actually a way around this and it will help speed up your device. Scroll down until you reach options that resemble the ones shown above. Out of these options, the ones called ‘Transition Animation Scale’ ‘Window animation scale’ and ‘Animator Animation Scale’ are the ones you’re concerned with. You can either halve the speed they take to run or turn them off entirely if you’re not that much into animations. However, your journey to speed up your Android device does not end here. 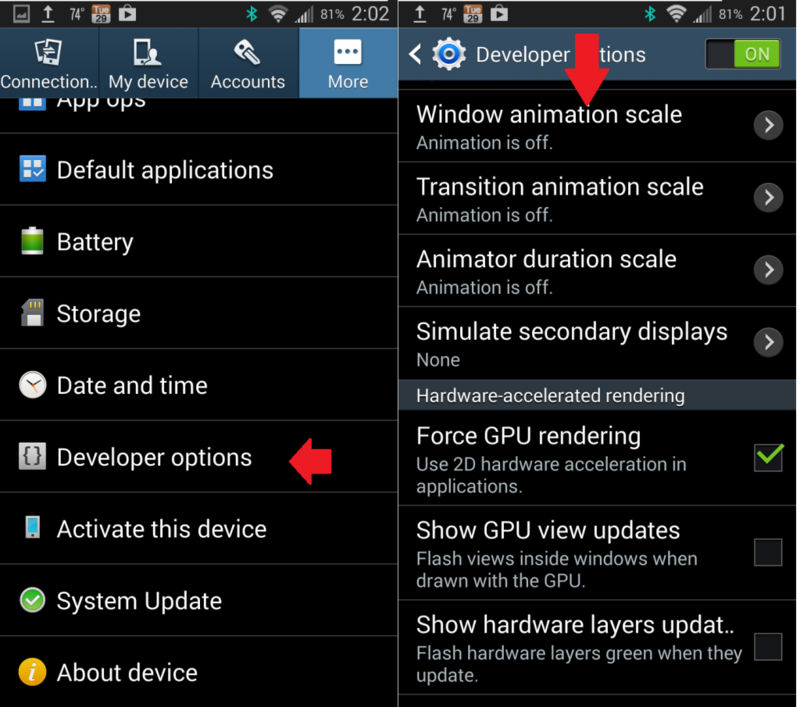 In the Developer Options menu, you can activate features that will show CPU usage through a Screen Overlay. You can also limit the amount of processes that run in the background through the ‘Background Processes Limit’ option. But be warned though, like its name says. the menu is for ‘Developers’ and any unnecessary tinkering might result in unwanted consequences. So thats it for today. Let us know how it worked out for you in the comments section.